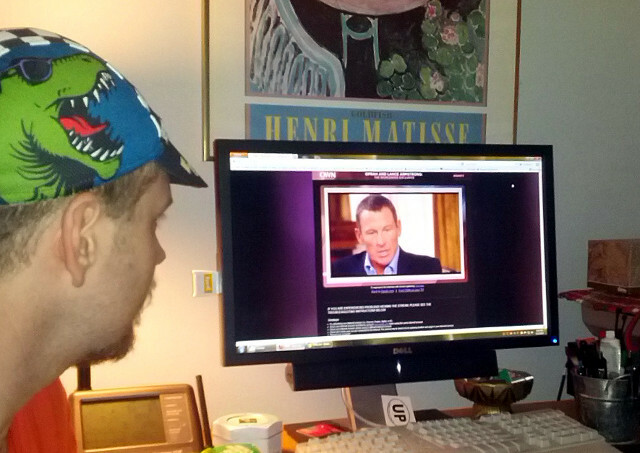 Last night we watched Lance and Oprah. I wore my SA cycling cap in solidarity with other non-doping cyclists. 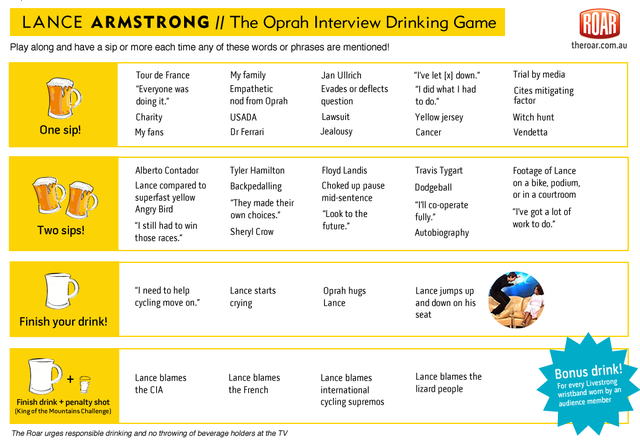 I did not attempt to play the Oprah Interview Drinking Game. A foot of light, fluffy stuff today. Our new weather station was completely covered in snow and looked like some kind of coconut lollipop at the top of its pole. We meandered around for our runs this week, getting in about 15 miles. The weather's been so nice we haven't hit the fitness center yet, but that's already changed with this weekend's snow. It's really icy below the fluff. That's right, loyal reader, I'm offering you my own year-end fitness-based retrospective/prospective. This is as self-indulgent as it sounds but hey, it's a weblog, a medium invented in the 1990s for exactly this purpose. I eked past 400 miles yesterday in the blistering cold. 6.23 miles in 13° F with a slight breeze yielded me several PRs and thankfully no frozen extremities other than my beard. Beyond a good year of running, I reached a few other personal goals, including finally earning my Bachelor of Science in Computer Systems Science, bicycle commuting to work nearly every day since mid-May, and losing somewhere between 50 and 60 pounds. I feel grateful to everyone who helped me reach these goals, and also obligated to set new goals to work toward. I'm currently planning to run the Journeys half marathon in May, and the full marathon at Fox Cities in September. Add in a couple of bike events and possibly one other half marathon somewhere, and I think I'll be pretty busy this year.